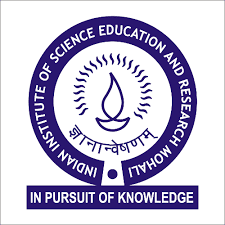 IISER-Mohali (Department of Biological Sciences) desires to engage PROJECT ASSISTANT on purely temporary basis on contract under the DBT sponsored research project at IISER-Mohali. Essential Qualification: First class degree of M.Sc/B.Tech., in Cell biology, Immunology, Microbiology, Life Science, Microbiology, Immunology, Biotechnology/Medical Biotechnology, and Molecular Biology. Practical research experience in the above mentioned areas. Mandatory requirement of 2 years of prior work experience/hands-on training in the zebrafish breeding, rearing embryos and its dissection. How to Apply: Candidates are requested to come for a walk-in interview with their CV and proof of qualifications on March 28th (Wednesday), 2018 at 10:00 a.m in the office 3F8 in Academic Block 1, IISER Mohali. Please contact the principal investigator via e-mail with a copy of your CV, if you are willing to attend the interview. E-mail: Dr. Rajesh Ramachandran (PI) rajesharm@gmail.com.